The truth behind Edwina Bartholomew's Instagram perfect wedding photos. Every dreamy detail from Edwina Bartholomew's wedding - and what she'd do differently. By now you’ve definitely seen some of Edwina Bartholomew’s wedding photos, right? 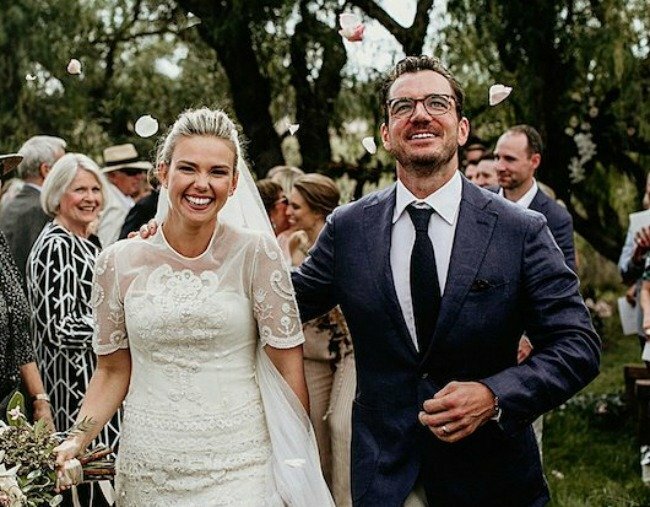 All sprawling fields and country air, the Sunrise presenter’s Greater Blue Mountains wedding was the picture of native blooms and genuine love. But what about the blood, sweat and irrational tears the photos didn’t show us? What was it like for the 34-year-old journalist planning her own wedding while being incredibly, incredulously busy? Eddie did, after all, spend the weeks leading up to her April wedding to long-term partner Neil Varcoe just casually reporting on the Winter Olympics, the Commonwealth Games and on two overseas trips to the US. 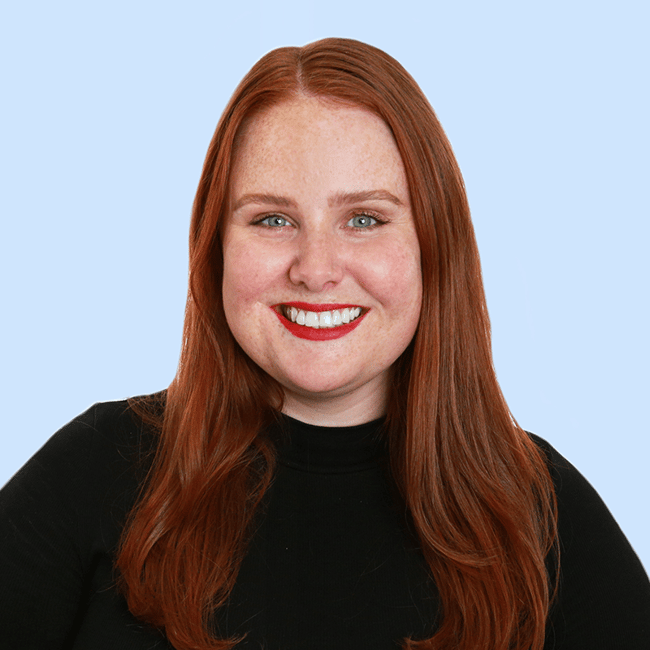 To find out (and make ourselves feel better about our own bridezilla meltdowns), we asked Eddie for her wedding planning advice, and what she’d do differently if they were to do it all again. All photographs were shot by Edwina Robertson, you can see the full album on her website here. How Eddie and Neil planned the wedding themselves. Eddie and Neil decided to plan their own wedding rather than hire a professional. Partly, because the wedding took place on their property in Warramba, NSW, but also to cut costs and take control of the elements they really wanted out of the day. "I don&apos;t think it was stressful until the last few days, we organised everything ourselves, which has it&apos;s own added stress and excitement," Eddie told Mamamia of the wedding planning process. "Not being wedding planners and not having organised a wedding before, there were certain things we missed because we didn&apos;t have that experience but overall, it meant that we could get married somewhere that is so special to us and we&apos;ll always have those wonderful, fabulous memories at our own place. "We had the days leading up to the wedding to spend with our friends [on the property], that made it really special and everyone who came was able to contribute in some way. It also meant we got more bang for our buck because we were preparing our house at the same time as our wedding venue." Of course, hosting 160 guests on your farm comes with a few obstacles to negotiate. "The negatives were... we didn&apos;t really think about garbage removal. We were cleaning up for days and days afterwards - we were supposed to leave for our honeymoon on a Tuesday but we had to push it back and back to do multiple runs to the tip to get rid of all the rubbish." One thing Eddie is grateful she and Neil thought to do was booking all the big ticket items early on. "When we got engaged, we locked in all the big things really quickly. Within the first month, we locked in the caterer, the florist and all of the infrastructure we had to bring in so it meant we didn&apos;t have to talk about it for the next year," she said. "I&apos;d heard horror stories about couples who only talk about wedding plans for their entire engagement. We really didn&apos;t want to do that, so that approach worked for us." What the couple spent and saved money on. Again, 160 guests don&apos;t come cheap. Eddie and Neil made a conscious effort to cut costs across the board, spending the most money on the "boring things most people don&apos;t have to worry about" like tents and port-a-loos. "We spent a lot on boring stuff like transport and infrastructure, but there were certain things we didn&apos;t want to scrimp on," she said. "We really wanted a great band, and we invested in the tent set up - our guests booked tents as opposed to booking a hotel room. Savings were made around the edges. We didn&apos;t have multiple courses or champagne bars and things that can push the price up. We&apos;re not massive foodies but we wanted really good quality share platters and shareable food on the table so we found a caterer [who could do that]. My friend made our wedding cake and we went to a baker and bought their standard cakes for another saving. "I took on a new skincare regime, probably eight or nine months before [the wedding] I invested in some La Prairie face moisturiser which was really beautiful. In the weeks leading up, I had a couple of facials, but I didn&apos;t go OTT. You need to look like yourself on your wedding day and not turn up looking like a Kardashian. There&apos;s a reason your partner is marrying you, because they feel in love with what you look like as opposed to trying to look like something out of a magazine. "[In hindsight], there was a little bit of to and fro with that we could&apos;ve spent a bit more money on. There were a few things we could&apos;ve done with more of." The things that &apos;went wrong&apos; on the day. One of those things Eddie thinks they could have spent more money on is... generators? "In the morning [on the wedding day], we lost power when everyone was going to have a shower. And again, during the reception on the dance floor all the power went out and we had to find more fuel for the generator. There were a few teething problems but, oh well!" Despite a few things that didn&apos;t go as planned, Eddie said she and Neil loved every minute of their day. "The beautiful chaos of [the day] was what made it so fun for everyone. Every guest that came pitched in and helped out and it made it a great experience," she said. "Even on the day, everything that went wrong kind of worked out right in the end. "I mean, there&apos;s little things, like I forgot to put the table numbers on so there was chaos when everyone was trying to sit down... my friends probably think back and say &apos;she was such a nightmare&apos; because I lost it the day before, the stress of it got to me. I had a little bit of a meltdown, but afterwards I thought &apos;that was silly&apos;. "I also forgot my best friend&apos;s birthday the day before [the wedding] because everything was so frantic and halfway through the day she was like &apos;it&apos;s my birthday&apos;. We had a hilarious moment when we got the crumbs from the wedding cake and chucked some icing on it and sang Happy Birthday." Would Eddie have done anything differently about her wedding? "We were very clear on the things we wanted - to make a speech together and to get married outside but with a Catholic service. We got everything we really wanted out of the day, so I wouldn&apos;t change it," she said. "I was also really busy in the lead up, I guess I wish I&apos;d taken better care of myself. I wish I&apos;d gotten a little bit more sleep." The moments that made their wedding so special. There are two moments in particular that stand out for Eddie when she looks back on her wedding day. While completely different, both hold a special place in the couple&apos;s hearts. "When we got up to give our speech... [Neil&apos;s] father died when he was a teenager and we spoke about him. At one point, we look up and the whole tent was in tears. It was a really poignant part of the day for us and particularly for Neil, that was really beautiful," she said. "We also have this really big hill at the farm... after we spoke we asked everyone to come to the top of the hill with us, we cut the cake up there and I&apos;d arranged for the band to be up there playing music. "It was this beautiful pilgrimage, everyone was chatting and meeting people they didn&apos;t know before and we watched the sunset before the dance floor kicked off. That was pretty amazing to look back and see everyone. It was magic." Edwina&apos;s advice for other brides. The biggest thing Eddie wants other brides and couples to know before enjoying their own wedding day is to soak up every single moment. Sure, it&apos;s a cliche, but true. "Make sure you take a moment during the day to thank your parents and acknowledge your family. Gather your bridesmaids together with you and tell them how special they are to you, and your siblings and your partner." "Take that moment because I feel like, after the day&apos;s gone, you feel this enormous gratitude and you really hope that on the day, that was clear and they knew how thankful you were to have them around. "Also, you can&apos;t change the day, right? So there&apos;s no point stressing about different details. There&apos;s definitely no point stressing afterwards about things that didn&apos;t go exactly to plan because in the end, it doesn&apos;t matter. "As long as your guests had a wonderful time and you had your loved ones there, you&apos;re the only one who knows if the leather ties weren&apos;t on the napkins." Want to hear to more? Subscribe to Hitched here. Love weddings or getting married and need to ask all the questions about venues, flowers, photographers, wedding dresses, EVERYTHING? Come join Mamamia&apos;s wedding planning podcast Facebook group Hitched.